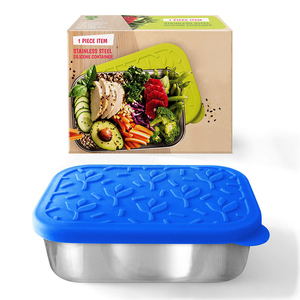 Specification: 1 Large size makes ample storage space to keep food fresh. 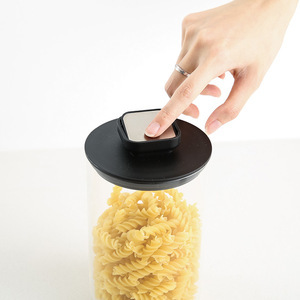 4 Airtight canister keep ingredients fresh and safe from pests or water. 5 Blends in well with any kitchen furnishings and has a stunning finish. Shantou Gepai Environmental Technology Co., Ltd. Item No. 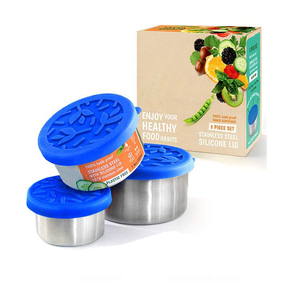 GPF202 Item Name Round 3 layers stainless steel food storage container with lid Material ABS+304 Stainless steel Size (CM) 14.5*14.5*24cm Weight(g) 655g/pc Capacity(ML) 2100ml Packaging 24sets/carton Carton Size(CM) 59.5*44.5*49cm Certification FDA,LFGB,SGS Color Pink & Blue & Green Sample Available Customized Design according to client's requirements such as new shape,material,color,size,printing,packaging and so on MOQ 500 set Delivery Time 20-40 days,depends on the order quantity Payment Term 1.30% T/T before production,70% should be paid before shipment 2.Irrevocable L/C at sight Detailed Images Our Company Packing & Delivery Our Service 1 ) Reasonable prices and lead time,Professional sales and Satisfactory after-sales service. 2) For other colors or the different specifications we can manufacture according to customers' requirement. Jiangmen Kimleyda Hardware Products Co., Ltd.
&bull;Use for food storage, such as coffee, tea, sugar, biscuit and so on. &bull;Alright seals keep content really fresh for longer and full of flavour. &bull;Logo printed is offer according to customer's demand. stainless steel lunch box. 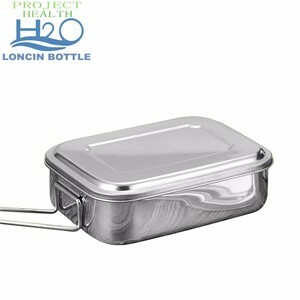 stainless steel lunch box. 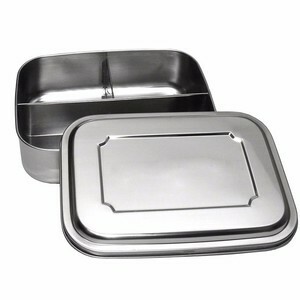 stainless steel lunch box. 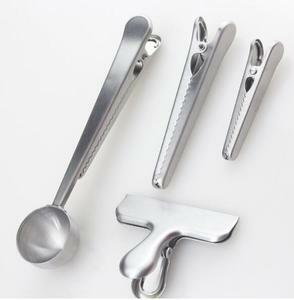 Guangdong Jiajiana Household Products Co., Ltd.
Jinhua Bluestar Houseware Co., Ltd.
Taizhou Kaiyao Plastic Co., Ltd.
&bull;Our factory have our own brand name design, also provide OEM/OBM/ODM service. &bull;Best quality product at very competitive price. &bull;Our factory occupy a area of 6000 square meters, and our warehouse can store 20 containers goods at a time. Product Information SGS quality stainless steel inner Insulated Casserole set 1.Product Specification Item No. Development Professional designer team make sure the development of new products designs. Quanlity Control QC team control quantity during production. Yiwu Weilai Commodity Co., Ltd. ADVANTAGE: 1. New PP and PU injected to keep warm and cold. 2. Keep warm and cold about 6 hours. 4. Durable and sturdy handle for taking. Yongkang Springbottle Industry & Trading Co., Ltd.
4. Our goal is to serve you well and have more partners like you all over the world. 1,We take great pride in our work and in the wide variety of products that we offer. 3,Please be aware that our production lead times depend on specific items and item quantities. 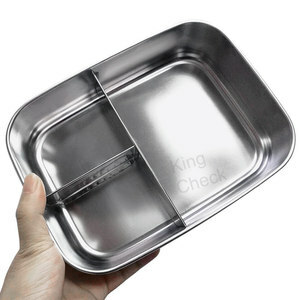 Alibaba.com offers 61,222 stainless steel food storage products. About 32% of these are storage boxes & bins, 10% are storage bottles & jars, and 1% are storage trays. A wide variety of stainless steel food storage options are available to you, such as metal, plastic. You can also choose from food, thermal. As well as from free samples, paid samples. There are 60,887 stainless steel food storage suppliers, mainly located in Asia. The top supplying countries are China (Mainland), India, and Japan, which supply 93%, 5%, and 1% of stainless steel food storage respectively. 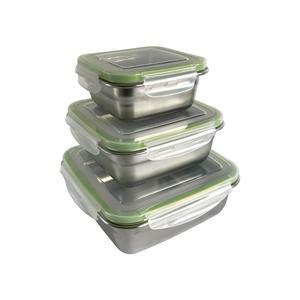 Stainless steel food storage products are most popular in North America, South America, and Africa. You can ensure product safety by selecting from certified suppliers, including 11,930 with ISO9001, 5,288 with Other, and 2,063 with BSCI certification.